Many times the evidence intended to be used against you can be suppressed, and made “inadmissible” by the Judge. This means the prosecutor can not use this evidence against you in court. 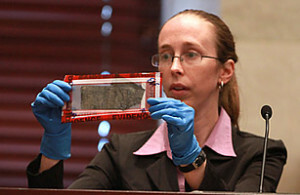 Often, the removal of one single piece of evidence is enough to have your case dismissed. One common way to have evidence suppressed is to challenge the legality of a search. Many times, police officers search you without a right to do so. There are countless forms of illegal searches (“unconstitutional”), so I’ll cover a few. In most cases, when an officer searches you, he or she must have a warrant. Still, most searches occur without a warrant, so how do they stand up in court? A police officer must have a valid “warrant exception” which makes it legal for him to search you without a warrant. One example of this is “Plain View”, in which guns, drugs, or illegal contraband are seen plainly by a police officer in your car (or on you personally.) Even so, that officer must have already had a reason to be close enough to see guns or drugs in plain view. If he just decided to peer around your car or property, that plain view search will not stand up in court. If the officer pulls your car over for an invalid reason like “suspicious looking vehicle” or “broken middle brake light”, anything that results from the motor vehicle stoppage will also be thrown out in court. All stoppages have to be legal. It’s up to us to prove that the police pulled you over without a good reason. An invalid stoppage results in an illegal search, and that evidence will be suppressed. Even if the police have a warrant, we may still have the search thrown out. Every warrant must be issued based on “probable cause”. If we make a case that probable cause did not exist for a warrant to be issued, any evidence found during the search will be thrown out. Sometimes the evidence against you is might be a statement that you made during your arrest. This is why the police are required to read your “Miranda Rights”. If any incriminating statements were obtained from you, and the police failed to properly advise you of your right to remain silent and the right to an attorney, then these statements should be suppressed in court.